Jessie Mueller, Jake Epstein, Jarrod Spector, Anika Larsen and the ensemble of Beautiful: The Carole King Musical are just killing it over at the Stephen Sondheim Theatre. The music of a generation just comes alive and leaves audiences on a high that lasts long after the big, earth-moving finale. 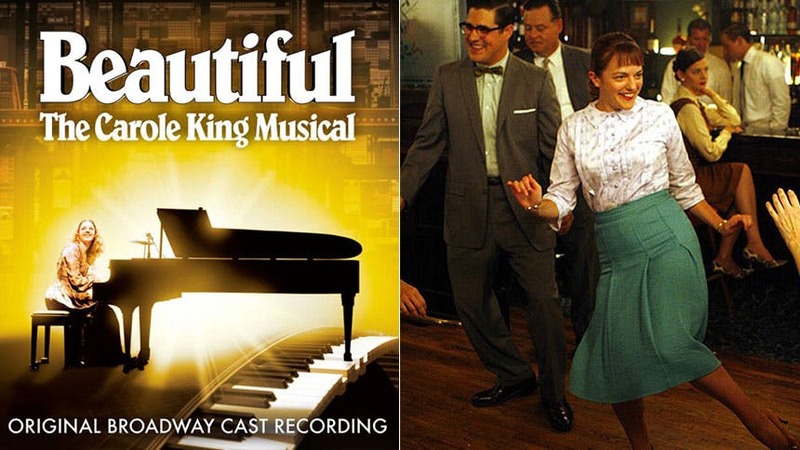 Now, you can take a bit of that Beautiful magic home with you thanks to a new cast recording released by Sh-K-Boom records. Below, BroadwayBox dives into the new album and reacts to each song in animated GIF (spoiler alert: we couldn’t stop dancing!). Ok, the shoulders are already starting. Now that’s what you call a mash-up…and a party! This is so sweet sounding, like a teenage dream. This is a song I can play with grandpa in the car and we’d both like it. This sound is just swell. Jessie Mueller, ladies and gentlemen. Dare you not to dance. That’s how to end an act, folks. And a nice way to ease back in. You can completely lose yourself in this song and Spector and Larsen’s voices. Wow. I feel transported back in time. This is a party! Immediately added to at least three playlists. This track feels random right now after those pseudo-psychedelic tracks. We’re deep into ‘Tapestry’ now. $hit’s getting real. Again! Let’s do it again. That was so fun. Now get thee to the Sondheim Theatre to see Beautiful: The Carole King Musical live and break out those moves on the aisles.